This isn't a story about autism. It's a story about a young boy who happens to have autism, and there is a difference. John Williams is a stand-up comedian. He is also a single father and full-time carer for his son, who has autism and cerebral palsy. This is their incredible story. 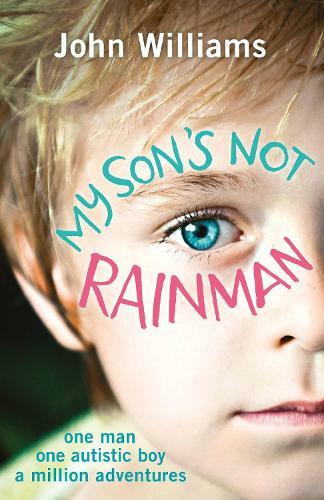 In 2012, John started a blog called My Son's Not Rainman, a heartfelt and uplifting account of everyday life for him and 'The Boy'. Following on from the blog's amazing success, John felt there was still much more of their life, past and present, that he wanted to share. And not only of the challenges of bringing up a child who for too long was just dismissed as 'difficult', but also of the joy of living with someone who looks at the world in a unique way. My Son's Not Rainman radiates warmth, care and passion, not to mention laugh-out-loud humour, on every page. It is a brilliantly different story about a brilliantly different boy. I saw this show in Edinburgh.&#10;So I can't wait to read the book.&#10;I will have to make do with the blog in meantime. A beautiful, heartfelt account of father & son. Heartbreaking and hilarious in equal measure. A book to be read, devoured and treasured.